Thank you for your interest in the North Cascades via Washington State Visitors’ Guide! Did you know that the North Cascades have more glaciers than anywhere else in the lower 48 states, as well as the 3rd deepest lake in the US? That the region is one of the most biologically diverse areas in North America and is home to a whopping 75 species of mammals including gray wolves, black bears, wolverines, river otters, lynx, bats and mountain goats? Despite all these superlatives, the North Cascades are not widely known, and North Cascades National Park – which turns 50 years old in 2018 – is one of the least visited national parks in the country! 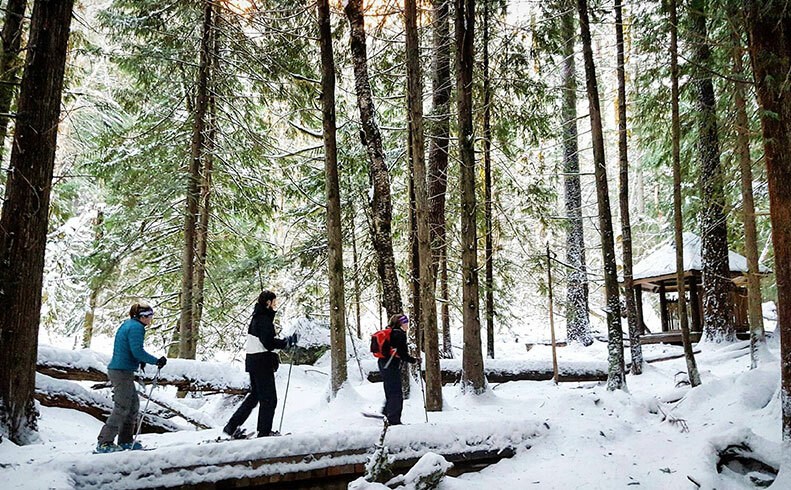 For more than 30 years, North Cascades Institute has helped people of all ages and backgrounds explore, enjoy and learn about this special corner of the country. We are a nationally-recognized education nonprofit that offers many exciting ways to connect with the natural and cultural history of "America's Alps." 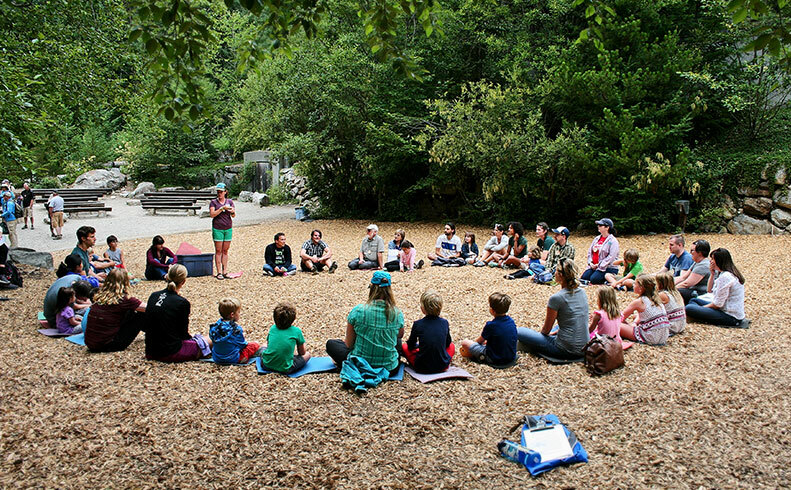 You’re invited to join us for an afternoon, an overnight stay or a weekend — sign up for a family camp, art or ecology class, Diablo Lake boat tour, geology hike or another one of the dozens of opportunities designed to get you outside connecting with the Wild Nearby. 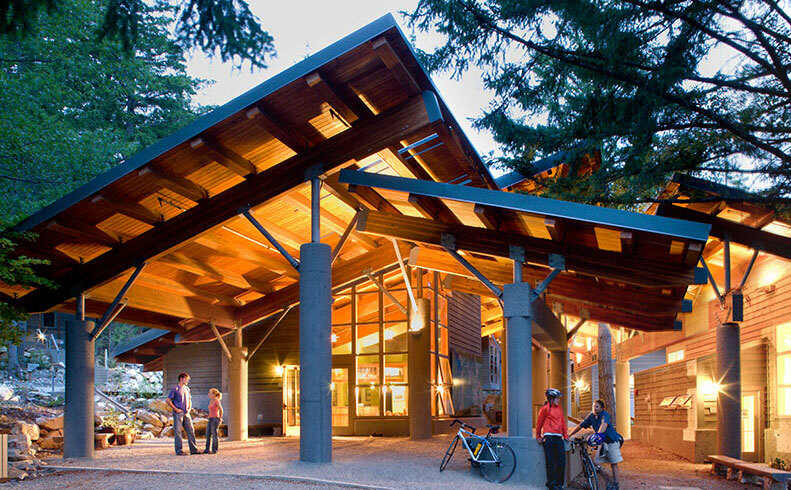 Most programs take place at the North Cascades Environmental Learning Center, located on Diablo Lake in the heart of North Cascades National Park, just 3 hours from Seattle or 2 from Bellingham. The Learning Center features ADA-accessible guest lodges, a dining hall serving locally-sourced, organic meals, a library, lounges, a network of trails, boat dock and a professional staff of naturalists and hospitality crew. Want to enjoy an inspirational weekend in the mountains with your children or grandchildren? Join a Family Getaway and connect with your family – and nature, too – on the forested shores of Diablo Lake. We provide comfortable accommodations, delicious meals and a wide variety of engaging, hands-on activities like canoeing, hiking, outdoor games and nature crafts by day and nocturnal explorations and campfires at night. Watch a video here. 2018 dates are July 6-8 and 13-15, August 10-12 and 24-26, Labor Day Weekend September 1-3 and Thanksgiving November 23-25. Want to explore “the American Alps” on your own schedule? Base Camp offers you the opportunity to explore and learn about the natural and cultural history of the North Cascades while enjoying the comforts of our campus on Diablo Lake in the heart of North Cascades National Park — one of only a handful of overnight venues inside the park! Each night of Base Camp includes guided outdoor learning activities, lodging and three delicious meals, starting at $65/night for the Hostel. Now booking weekends in February-March, summer calendar coming soon! Want to learn in the most stunning classroom you can imagine? We offer dozens of hands-on Learning Adventures, including single-day and weekend classes on birding, photography, geology, wildlife tracking, journaling, mushrooms and more! Upcoming classes include Winter Birding in the lower Skagit Valley, Night Photography at Diablo Lake, Mapmaking, Winter Watercolors and Wilderness First Responder recertification and Remote Emergency Medical Technician training. Many more classes for Summer and Fall 2018 will be announced in early 2018! You can contact our friendly registration team with any questions. Scholarships, student and military discounts and teacher clock hours may be available; give us a call! Sign up to receive our monthly eNewsletter Field Notes to keep you informed of upcoming programs and events in the North Cascades, and like us on Facebook and Instagram for beautiful photos, natural history trivia and stories from the field. WE HOPE TO SEE YOU IN THE NORTH CASCADES IN 2018! Sign up to receive our monthly eNewsletter Field Notes to keep you informed of upcoming programs and events in the North Cascades.